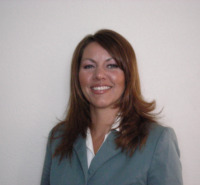 Dr. Eilers received her doctorate in Behavior Analysis from the University of Nevada, Reno. She has over 20 years of experience working with a variety of populations including children and adults with developmental disabilities, severe behavior problems, mental health, brain injury, and gerontology. Dr. Eilers has also worked as an Organizational Behavior Management Consultant to several organizations. She has extensive experience and training under the direction of Dr. Abernathy on the development and implementation of scorecards in organizations. Dr. Eilers has contributed to research and conceptual/theoretical analyses in diverse areas, including sexual assault and prevention, domestic violence, psychoneuroimmunology (classical conditioning of the immune system), modified functional analyses, non-contingent reinforcement, learning assessments, Acceptance and Commitment Therapy, complexity theory, and Interbehaviorism. Her current interests include complex human behavior and Relational Frame Theory/Acceptance and Commitment Training.